Google Project Zero's security researcher has discovered a critical remote code execution (RCE) vulnerability in Ghostscript—an open source interpreter for Adobe Systems' PostScript and PDF page description languages. 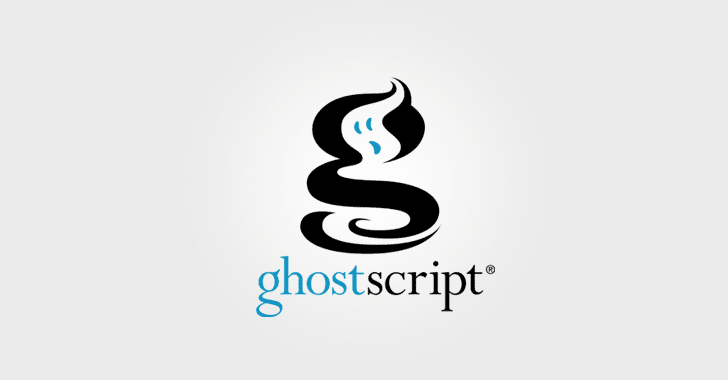 Written entirely in C, Ghostscript is a package of software that runs on different platforms, including Windows, macOS, and a wide variety of Unix systems, offering software the ability to convert PostScript language files (or EPS) to many raster formats, such as PDF, XPS, PCL or PXL. Ghostscript suite includes a built-in -dSAFER sandbox protection option that handles untrusted documents, preventing unsafe or malicious PostScript operations from being executed. "I *strongly* suggest that distributions start disabling PS, EPS, PDF and XPS coders in policy.xml by default," Ormandy said. This is not the first time when Ormandy has discovered issues in Ghostscript. He found similar high severity vulnerabilities in Ghostscript in October 2016 and April last year (CVE-2017-8291), some of which were found actively exploited in the wild.